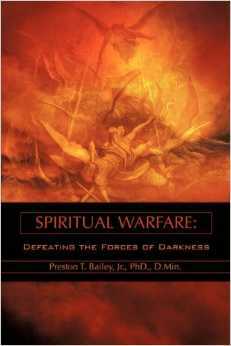 Defeating the Forces of Darkness is a theological and practical book on overcoming the attacks of the Devil. Christians need to use the many spiritual resources that Christ has provided for us to defeat the attacks of the Wicked One. Dr. Bailey describes the nine different types of attacks by demons along with how to respond to each type of attack in order to have victory. He also describes Satan's organizational structure of demons and how they scheme to attack people. Dr. Bailey also has counseled thousands of demonized people and hundreds of people who were ritually abused and led many Satanists, witches, warlocks, and those involved in the occult to Christ. He has trained thousands of Christian counselors in Europe, Canada, and throughout the United States. God has given him many unique experiences that he has shared in this book which will enrich your life and reveal startling truths about spiritual warfare and how to have victory over the attacks of Satan.